A number of years ago, a family doc friend of mine took me on a tour of his small group practice. He proudly showed me the exam rooms, his medical equipment, and other parts of the facility that related to patient care. Then, we came to a large room with a bunch of desks piled high with paper. He explained, bitterly, that this part of his office was for the people he had to keep on the payroll to do nothing but deal with insurers. This administrative expense was cutting his margins to the bone and did not help him take better care of his patients. He eventually left practice, to pursue a second career as a physician executive – a job that was, for him, more remunerative and more satisfying. Part of the problem is that physicians in the US have to deal with multiple health plans – each with its own set of managed care rules, formularies (or list of approved drugs), requirements for prior authorization, rules for billing, submission of claims, and adjudication. 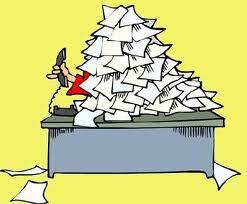 Until recently, almost all of this administrative work was done by phone or fax. Picture this: rooms full of practice-based nurses talking to insurance company nurses about the details of a case that may or may not lead to payment for medical care. So, just how much is our multi-payer system costing us? Researchers at the University of Toronto, Weill Cornell Medical College and the Medical Group Management Association collaborated to help shed light on this important question. They decided to compare how much time (and money) is being spent interacting with payers (private and public plans) in the US vs Canada, a country with a single payer system. The results were published in an article in the August 2011 issue of Health Affairs. Physicians in the US spent 3.4 hours per week interacting with multiple payers compared to Ontario physicians who spent only 2.2 hours per week interacting with the single-payer system – most of the difference was related to time spent obtaining prior authorizations – an agreement by the insurance company that the service meets criteria for payment. US nursing staff (including medical assistants) spent 20.6 hours per physician in the practice per week interacting with payers – almost ten times the amount of time spent by Ontario nurses (2.5 hours) – again, a lot of it (13.1 hours per physician per week) was related to prior auths. Clerical staff in the US spent 53.1 hours per physician per week compared to 15.9 hours in Ontario – most of the difference relating to billing issues and obtaining prior authorizations. When this time is translated into US dollars (adjusting for salary rates and specialty mix), Ontario practices spend $22,205 per year per physician compared to – are you ready for this?? – $82,975 in the US. That is a difference of $60,770 per physician. The authors calculate that if US physicians had administrative costs similar to Ontario physicians the total savings would be ~ $27.6 billion per year! You could insure a lot of people and/or pay for a lot of health care with that type of dough. The authors are careful to point out that we really don’t know the value of the benefits that may be reaped by these insurance company interactions. For example, how much inappropriate care is avoided by prior authorizations and how much innovation is stimulated by competition between the various payers? I have raised the former issue with health plans I have worked with. However, to date there really aren’t good studies that take into account the costs of doing the prior auths, the savings related to denial of inappropriate care, and the value of any “sentinel effect” related to just having the “watchdog” process in place. It would clearly be helpful if our friends in the health services research community could help answer some of these important questions. Meanwhile, I do think this study should stimulate a vigorous discussion, perhaps during the Presidential debates, about how much we are willing to pay for “choice” of insurer… perhaps, we might find that $27.6 billion a year is way too much.